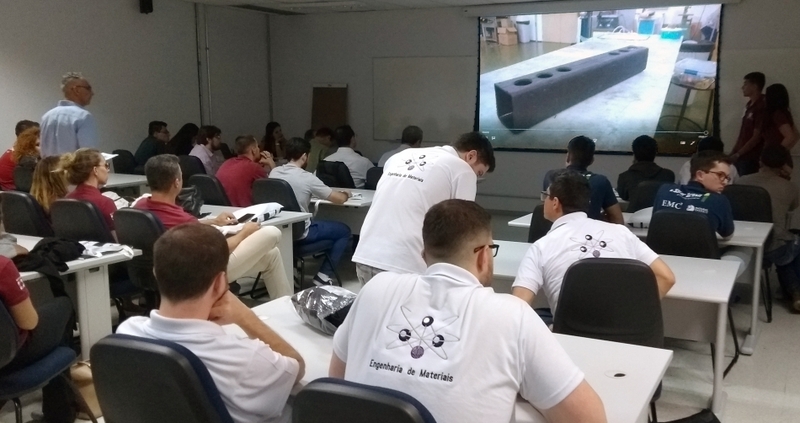 The 2nd Sampe Brazil Advanced Composites Week, which began yesterday (October 2nd) in the city of São José dos Campos (SP), had on the first day the fourth edition of the Student Bridge Contest. The event takes place until October 6th and is being held at the Technology Park of São José dos Campos, partially at the IPT Lightweight Structures Laboratory. The contest is a worldwide competition. The main goal of this event is to allow a real design experience of a composite structure for university students that take classes in the areas of materials and mechanical design. There were 22 teams, represented by more than 120 students. The competition has four categories, as well as a global winner. The latter must have been the winner in at least one of the four categories. The champions were Centro Universitário FEI and Universidade São Francisco; in category C, related to a square profile and glass fiber composites, no team managed to qualify. The global winner was FEI. 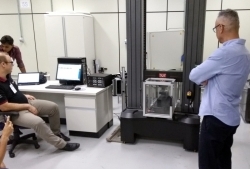 José Everardo Baldo Junior, researcher from the laboratory, participated on all the procedures, which included presentations from each team to a jury of experts, and testing of the specimens to verify their failure loads. 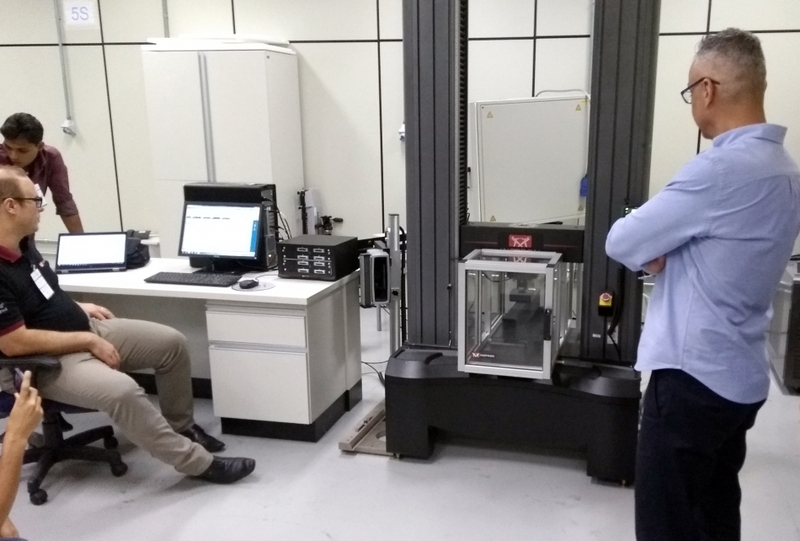 ...and testing at the IPT laboratory. “It is gratifying to see the commitment of the students during the presentations, and the cheering during the testing when their goals are reached”, says Baldo. Hugo Borelli Resende, the researcher who is responsible for IPT laboratory, emphasized the relevance of competitions like this for the great practical learning of design techniques for the students, which leads to better chances of getting good job offers. The contest was mainly sponsored by the Barracuda Advanced Composites (a company that develops constructions of structures in composites), and his chief engineer and CEO, Jorge Nasseh, was responsible for the coordination of the event.